Isabella Cannatà joined LALIVE in 2018 and specializes in international arbitration (commercial and investment) and public international law. She has acted in several international arbitration proceedings, mainly conducted under the auspices of the ICSID Convention and the ICC Arbitration Rules with a particular focus on the energy sector. Before joining the firm, Isabella Cannatà was an associate at an Argentinian boutique law firm specializing in international arbitration and completed internships at LALIVE and at a global law firm in Paris. She is a member of the Spanish Arbitration Club (CEA) and forms part of the Executive Committee of the AIA-Arbit-40, the Italian arbitration association for young professionals. Isabella Cannatà holds an Italian law degree from the University of Turin. During her undergraduate studies she was national champion in the 2012 Philip C. Jessup International Moot Court Competition and won the 2013 edition of the Concours d’Arbitrage International de Paris. She was also an exchange student at the Center for Transnational Legal Studies, Georgetown University (2011). 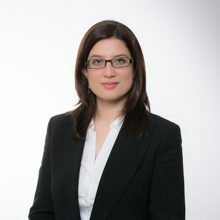 Isabella Cannatà also holds a certificate in Private International Law from The Hague Academy of International Law (2014), a Diploma in International Commercial and Investment Arbitration from Torcuato Di Tella University in Buenos Aires (2015) and an LLM in International Legal Studies from NYU as a Dean’s Graduate Award scholar (2017). She serves as a Teaching Assistant in international arbitration at the University of Turin since 2017.